flip phones « Hercules and the umpire. In this post, I ask two questions about the Supreme Court’s recent “cell phone” cases. To be clear, I express no opinion on the merits of pending or impending matters that appear or may appear on my docket as a result of those cases. That said, because it is practical and rule based, I like the Court’s simple approach–get a warrant. I do have questions though. First, what is a “cell phone?” Is a “cell phone” a “smart phone?” Is a “flip phone” that can send and receive phone calls and text message but perform no other function save for maintaining a call log and a contact list, a “cell phone” within the meaning of the Court’s new jurisprudence? If so, why? 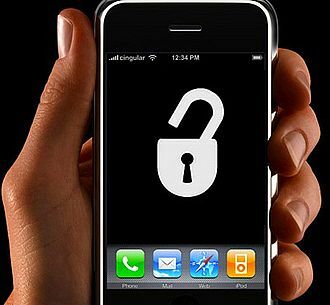 If a digital device is easily locked and therefore protected against prying eyes when locked, there is little doubt that the owner has a reasonable expectation of privacy in the massive storage capacity of that device provided the locking mechanism is enabled. A warrant therefore would be required to search the contents of a locked cell phone no matter how one views the Fourth Amendment. But, if the phone is not set to lock, why should a warrant be required when the owner has not taken a simple and easy step that would protect his or her privacy when out and about in an auto with his smart phone? Why is the search of this vast “open container” lawfully seized by the police, but without a warrant, unreasonable? These are probably silly questions. Nonetheless, humor me. What say you?